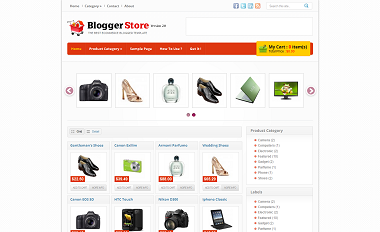 Blogger Store v.2 the best blogger template ever made. Comes with more elegant, simple and fresh fresh design. Its beauty can you see in the background pattern on the body and main content combined with appropriate background color.It is best for shopping blogger templates. This is so beautiful template, what I searching for a long time. Thanks for providing this amazing Ecommerce template for blogger platform.